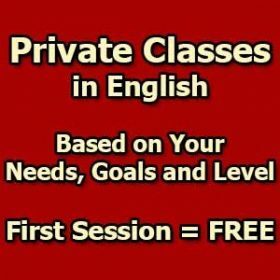 Our private classes are based on your own needs, interests, goals and even personality traits. Our English private classes can help you to improve your English conversation, grammar and vocabulary. You can also get ready for IELTS or TOEFL. In our private classes, you can also practice essay writing in English academically. Give English lectures / presentations and receive my professional corrective feedback. Practice essay writing for IELTS Writing Task 1 and Task 2. I will assess your essays accurately and you will learn from your mistakes. Have negotiations in English with me on challenging topics to practice speaking, reasoning and brainstorming. Improve your skills for IELTS Speaking by giving interviews to me as the IELTS examiner. The first session is all FREE. So, you won’t lose anything if you don’t like my teaching approach. Our private classes are exclusively held on Discord. Download and install Discord on your electronic device. Then customize Discord for our online classes. Finally, join our Discord server for our classes. Attend our private classes with your friends and pay just for ONE student. Have access to our digital library and download hundreds of English books for free and use them as the coursebooks for your private classes.